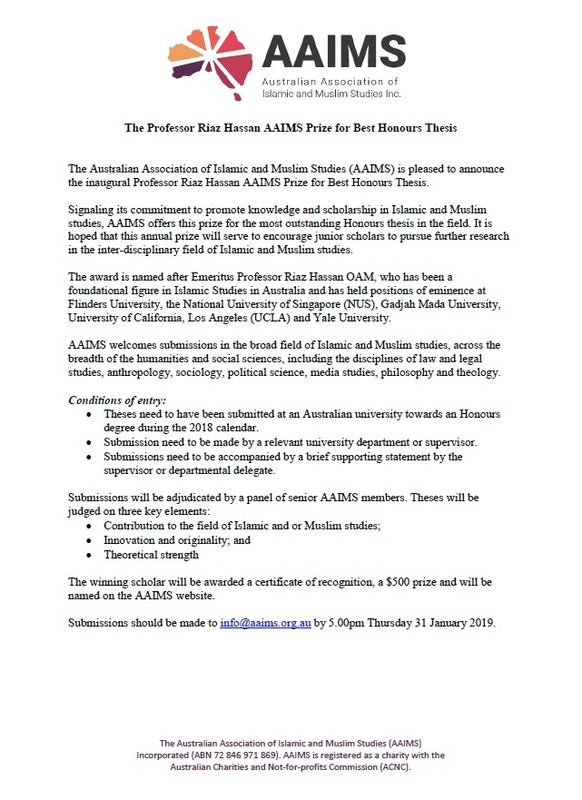 AAIMS is pleased to announce the inaugural Professor Riaz Hassan AAIMS Prize for Best Honours Thesis. Read the full text here. The Australian Association of Islamic and Muslim Studies (AAIMS) Incorporated (ABN 72 846 971 869) is registered as a charity with the Australian Charities and Not-for-profits Commission (ACNC).